I love Jeff Buckley so much that sometimes if I listen to him at night, in the dark, his music almost makes me physically ache. That's how I felt when I heard this live track. Am I melodramatic? Of course. But for real, LISTEN to him singing Nina Simone (Nina Simone!) and see. If it does not touch you, then perhaps you have a cold block of ice in your chest in place of a beating and sentient heart. Also, here is Buckley covering Velvet Underground and Bob Dylan. Interesting live radio studio banter as well. Sometimes I forget that he was a real person, if that makes sense. 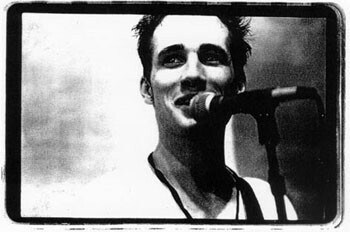 And in the news, there is a Jeff Buckley documentary (Amazing Grace) which I am somehow just now hearing of. 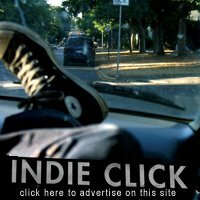 It apparently screened at the Cinequest Film Festival back in San Jose in March when I was totally still living there. How did I miss that? it is a bit dramatic, but it's impossible to describe the beauty that is jeff's voice. really angelic, yet not sacharine. at all. Darn it! My computer wont open the file and play it. You already know I love Nina, but I also like Buckley and the Velvet Underground. I'll have to find a way to open and hear these. Ainda hoje é difícil descrever o que sinto ao ouvir o "meu amigo" Jeff. É, como alguém já comentou, angelical. Fecho os olhos e vejo-me lá em cima com ele. Costuma-se dizer que só morre quem já terminou a sua tarefa neste mundo... Jeff acabou a sua? By the way... this is portuguese. and... as long as I have Jeff's music, I'll have my mind's satisfied for the rest of my life. through his music I learn how to deal with missing him. He makes my soul soar.